McCauley & Co.Customized C.O.R.E. 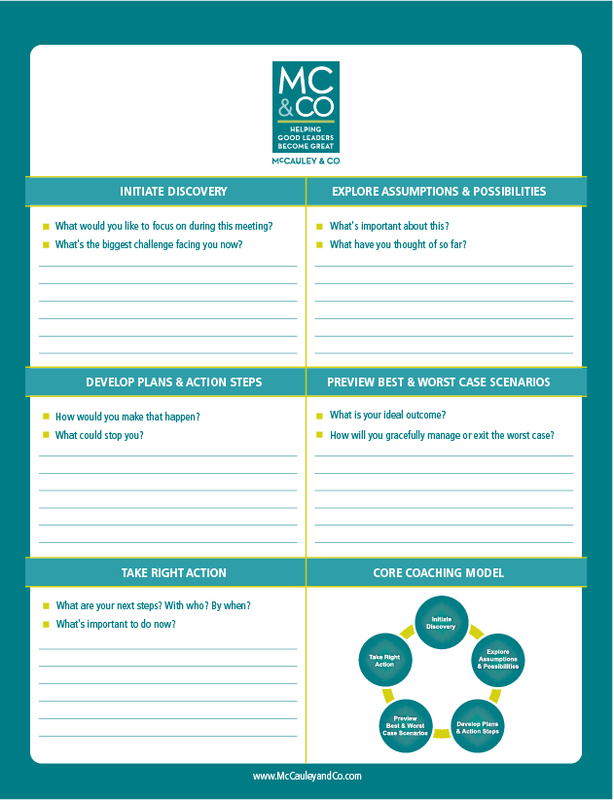 Performance Coaching Notepad - McCauley & Co.
You want to lead your team to be their best, but are you asking the RIGHT questions? They’re here in this notepad customized with your organization’s logo/brand. It’s the perfect place to take notes as you coach your team to the next level of success!